Passion, natural beauty, tradition, life … the 10 wines deemed the “most exciting” of 2017 encapsulate all these things and more. When K Vintners founder Charles Smith launched into an emotion-filled declaration of the things he wants in his wine, he struck a chord with generations of vintners and wine drinkers in the room. Maybe not everyone seeks “rock ‘n’ roll” in what they drink and hopefully not every wine represents “heartache,” but surely we hope to find goodness, tenderness, love and laughter when we share our favorites with each other. Every year, Wine Spectator’s senior editors create the magazine’s Top 100 list, sharing with readers the wines that most excited them for their combination of quality, value, availability and the elusive “X-factor.” It all starts with a list of wines that rated 90 points or higher that year. “Going from almost 7,000 wines to 100 is not an easy job,” said senior editor Alison Napjus. To get down to the Top 10 is even tougher. In a series of four Top 10 of 2017 tastings over the weekend, Wine Experience guests had a chance to see if those 10 wines also wowed them, while the owners and winemakers spoke about the history and personalities behind each. A love for Napa led to the creation of Hestan winery and its companion labels, Meyer and Stephanie, in a whole new corner of the county for vibrant Cabernet Sauvignon. Fulfilling a decades-old dream, cookware magnate Stanley Cheng, of Meyer Corporation, bought 237 acres of land in an area « most of you have never heard of »—Gordon Valley, near the southeastern boundary—and planted a vineyard in 1997, eventually hiring star winemaker Thomas Rivers Brown. In naming Hestan, Cheng said, « I put my wife Helen before me, Stanley, and great things started to happen. 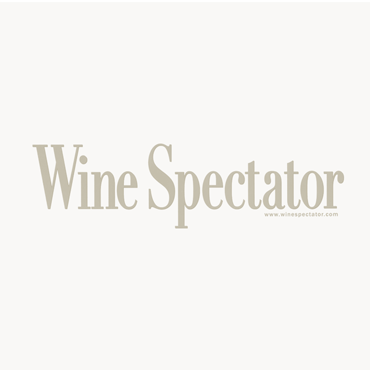 » Aged in 50 percent new French oak, the supple Meyer Cabernet 2014, at No. 8, is designed to be approachable young. Saturday featured three whites, from dry to off-dry to sweet, all represented by a new generation of women managing their family estates after having pursued other careers. If any wines embody heartache, it must be those where the risk is high, but the reward so worthwhile, such as the sweet wines of Bordeaux. These « gold wines, » as Château Coutet’s Aline Baly refers to them to counter the perception that they are only for dessert, are dependent on the arrival of noble rot at just the right time to concentrate the ripe grapes and contribute its distinctive aromas. « Botrytis is an anarchist, » quipped Baly, explaining why they made seven passes through the vineyard over 19 days, picking each individual berry as it was ready, to create their fresh, vivid 2014 Barsac, the No. 3 wine. When it came to Smith’s desire for « goodness, » maybe no one can live up to his standard of Mr. Rogers, but each of the Top 10 wines had clearly been created with « a full heart » and a full commitment to the craft.